What is the meaning of “Bad Wolf”? What is the meaning of this theme? How does this name or message appear throughout the season? Who or what is the bad wolf? At the end of the first season, it's discovered that the daleks have been controling the human race through the TV games. Rose looked at the heart of the Tardis and was imbued with the power of time. 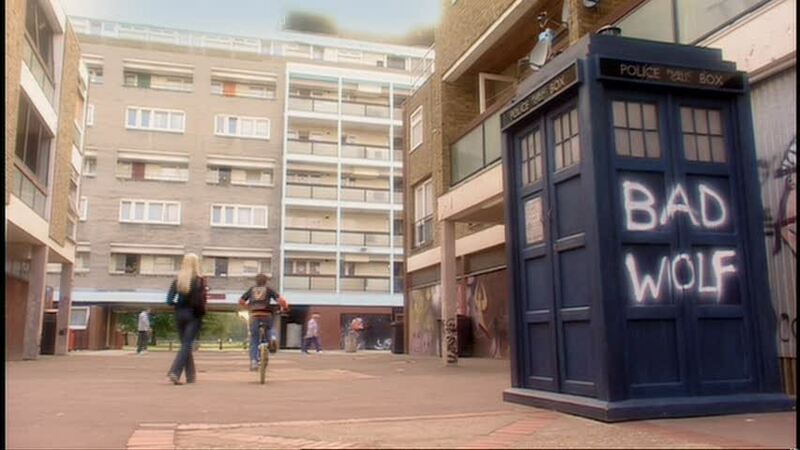 She used it to return to where the doctor was and scattered the message across time. It's a message to herself from the future. DForck42's answer explained how it appeared, but not exactly what it means. And the message was therefore meant to tell her that she should return to the Bad Wolf Corporation satellite to go and save The Doctor. Rose: ...I scatter them, in time and space. Rose: A message, to lead myself here. Bad Wolf refers to an old Norse legend about Fenrir, a huge and terrible wolf, who is the offspring of Loki and a troll. Fenrir is tethered to prevent it killing the gods in Asguard (not sure why, but it doesnt like them for some reason). To cut a long story short, it breaks its bonds and triggers Ragnarok, the last battle in all existence..ever. The Norse Gods are invaded by the baddy trolls, Fenrir and the Migarth Serpent (Lokis other naughty child)... (depends on your view as to who the baddies are), and the heros in Asguard and all of the known universe are crushed, ending in dark oblivion..or something like that ! Fenrir...Bad Wolf ! bad wolf is rose. 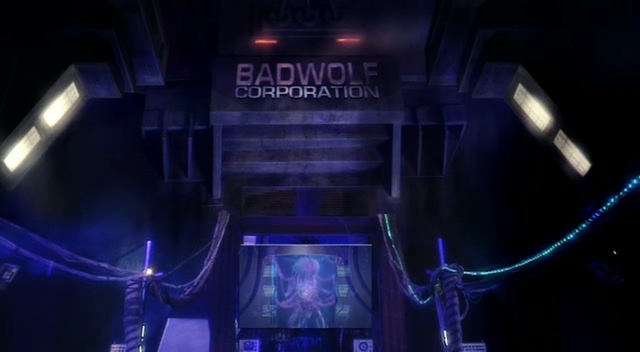 she scatters the words (bad wolf) through space and time to lead herself to bad wolf corporations. Hmmm... well of my theories (facts) Rose Tyler is the bad wolf... according to the eppisode where Rose tells donna that the only way she could change history and "go right instead of left" was to erm... sacrifice herself, but before she died, Rose whispered into her ears the meme " Bad Wolf" which is technically a signal to lead her past self to " badwolf corporations" she took in "the light" and was capable of destroying an entire Dalek Fleet. Also when Donna sacrificed herself (future self) Rose told Donna to tell the doctor the words bad wolf. Hope you understand all of this! I love "Doctor who"
Not the answer you're looking for? Browse other questions tagged doctor-who . Does River Song's message on Planet One in “The Pandorica Opens” have any perceived meaning? After the Time of the Doctor are the events in the Name of the Doctor just an aborted timeline? Does Doctor Who have an end game to the overall story of the season? Why does Doctor Who pronounce “Van Gogh” differently than Wikipedia's audio pronunciation? What technique was used to create this effect? Where did the altered title music come from in Resurrection of the Daleks? Are there an infinite number of Universes/Dimensions present in Doctor Who?